In 1952 at the Cârța Monastery in Romania, a nun, a Catholic priest and a novitiate, sent by the Vatican, investigate the mysterious suicidal death of a nun. Scared the beejeezers out of me! I felt like I needed to bathe in holy water after this. Loved it! 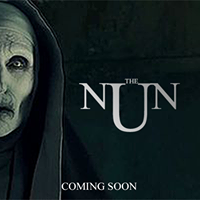 Strong as it’s own story and important to The Conjuring universe, The Nun delivers the evil forces that don’t respond to conventional methods. Such a great movie! Love all the conjuring movies! This did not disappoint! Chills and thrills and exorcism too!! Best horror film of 2018 so far!! Well done story and cinematography. Not too many jump scares so audience focuses on story. Good setup of prequel for present day at beginning/end of the movie. Very good movie. Great plot. Entire movie was great. It was enjoyable that humor was added in some scenes. 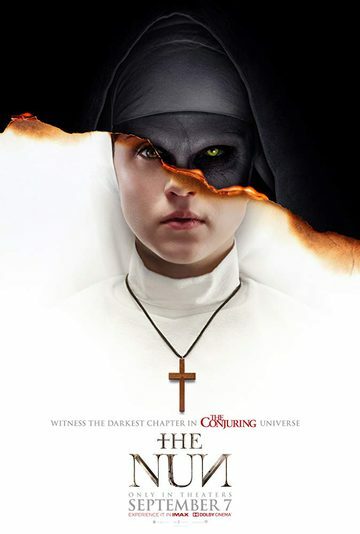 And amazing how the end of “The Nun” ties back to “The Conjuring”. A great film. Scary as hell! I felt I was on a fast yet steady horror ride that I was too afraid to get off!!!! Just in time for Halloween!!!! Watch this movie in theaters if u want a jump ! !